Finished Liberating Paris by Linda Bloodworth Thomason which is set in smalltown Paris, Arkansas, and is about six childhood friends who have just turned forty, their loves and lives. Not bad. 14th November. Did short tour of St Gallen, Switzerland, hosted by Ruth Freiner, which is named after the Irish saint, St Gaul, before travelling to Gossau where I spoke to fifty students and twenty members of the public at the University of Teacher Education. The students had read my novel, Rudi, as part of their coursework, and there was a lively Q & A. 13th November. Visited the graves of James Joyce and Elias Canetti [home page pic] at Fluntern Cemetery, Zurich. 12th November. Addressed three English Language/Literature classes at Schule Schloß Salem, Überlingen, almost ninety minutes each, back-to-back, before travelling to Zurich where I read at an event organized by the James Joyce Foundation. 11th November. 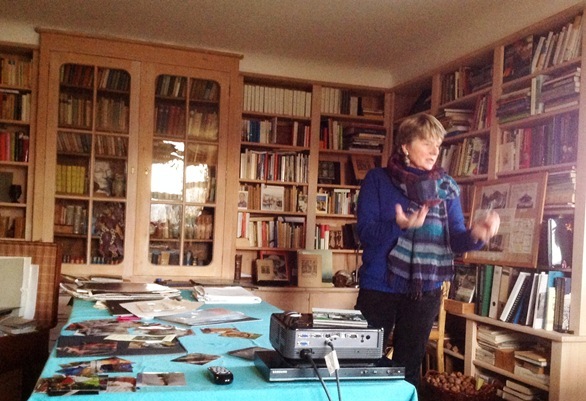 Travelled to Überlingen, on the German/Swiss border, to address language/literature students at Schule Schloß Salem. In the afternoon travelled to Hermann Hesse’s house in Gaienhofen [pic, above] where myself and some teachers were given a tour of the house, his study and library by Eva Eberwein, curator and author. 9th November. 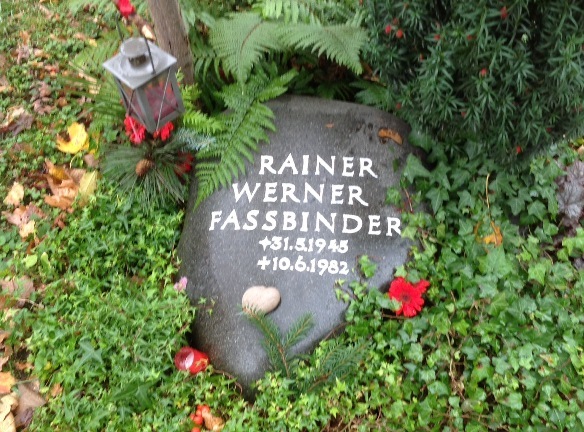 Visited the graves of filmmaker Rainer Werner Fassbinder and author Erich Kastner, in the grounds of the Church of St Georg, Bogenhausen, Munich, both of whom I have previously written about. 8th November. Speaking in Munich, addressing two separate classes of students studying English Literature who have read my novel ‘Rudi’. Later, I was interviewed on a radio station, Radio Lora, about my life as a writer and my books. 5th November. Was on a panel discussion at Stranmillis University College with Colin Keenan (SDLP), Sam White (Director of Charter NI and a former loyalist prisoner) and Emer McGuckian (education project worker), chaired by Dr Eamon Phoenix. The audience was made up of mature students from Kennesaw State University and the subject was ‘The Irish Conflict and the Northern Ireland Peace Process’. 4th November. Interviewed by Julie McCullough, BBC Radio Ulster’s Talkback, doing a walkabout in the Iveagh/Broadway area for an outside broadcast on Thursday 14th November, about life in West Belfast before, during and after the Troubles. 29th October. Interviewed by David Coyles, a lecturer and researcher based at the Belfast School of Architecture at the University of Ulster who is working on a project investigating the architecture that was constructed during the Troubles.